We have reached the end of the season 11 of Bigg Boss and the show is coming up with exciting ideas that spice the things up. The viewers are also engaged in the show as they witness the true colors of the contestants. In the recent show, it was shown that the remaining contestants were facing the media during the media task and they were answering their questions. Someone asked from Shilpa Shinde about her strategy. Shilpa replied that she does well with everyone and she does hope that someone will return the favor. There is no doubt that Shilpa answered with adroitness but the answer did not seem to please Vikas Gupta and Hina Khan. 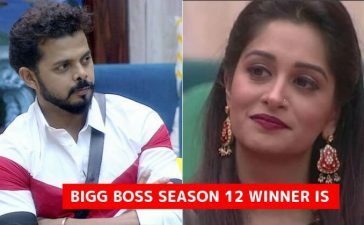 They opposed Shilpa’s statement. They started to malign Shilpa and Hina Khan said that Shilpa Shinde won the sympathy by being kitchen bound. She further added, “Agar Kitchen me rahkar cooking karke hi votes mil sakte to main Bhi cooking seekh ke aati”. She accused Shilpa of not involving in the tasks as she stayed in the kitchen. Shilpa Shinde was about to break in emotion but then Puneesh Sharma took her stand. He said that what Shilpa does is respectable; she feeds everyone and that how they get the energy to perform tasks. He further added that the situation of Shilpa is similar to that of an Indian housewife who remains busy all day but she doesn’t work according to the society. After that, Akash Dadlani broke the ice and tried to criticize Shilpa. The argument was warm but it scintillated when someone asked Hina why she finds interest in other’s matters. What do you say about the strategy of Shilpa Shinde? Share your views in the comments. Also, check the Bigg Boss audition video of Puneesh Sharma, he sounds like the real Bigg Boss of Delhi.